If you think you've finally gotten control of unsanctioned user apps, think again. The next wave of rogue apps is on its way from your data center to the cloud. Over the years, the consumerization of IT has spurred a free-for-all in the adoption of cloud services. 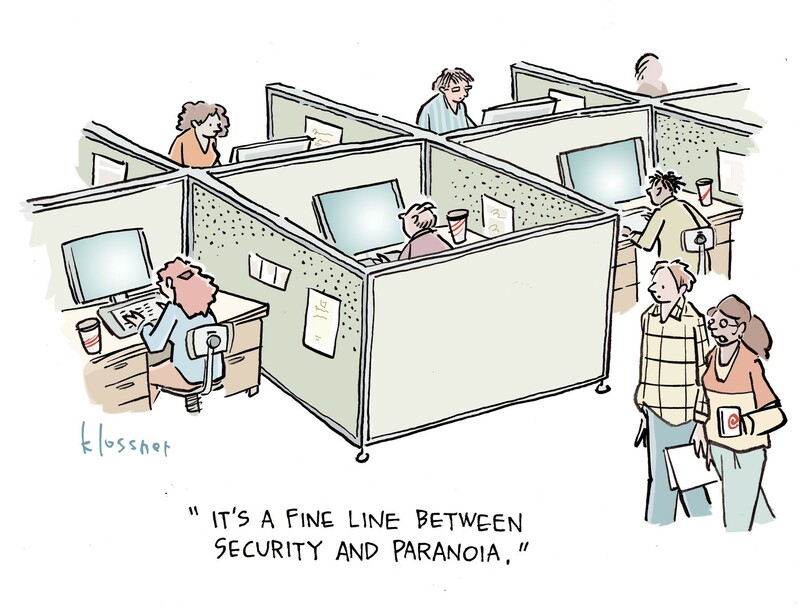 As employees found unsanctioned applications to help them do their jobs, overwhelmed security teams took a head-in-the-sand approach, giving rise to a serious problem dubbed "Shadow IT." But how big of a problem is Shadow IT, really? That depends who you ask. Based on my personal conversations, CIOs estimate the number of unsanctioned cloud apps to be around 100. But in a tally based on an analysis of network logs, Shadow IT totals are much larger –averaging roughly 1,000 cloud services in use since early 2015. Since those early days, companies have taken a more proactive and managed approach to the cloud by moving to enterprise-wide deployments of applications like Office 365, Salesforce, and Box. But just as organizations think they have Shadow IT under control, a new area of rogue cloud computing has emerged: custom applications developed by a company on its own and hosted in the cloud. New research Skyhigh Networks conducted with the Cloud Security Alliance surveyed over 300 technology professionals from departments including software developers, IT, security, operations, and DevOps. The research showed that security teams, on average, estimate their organization uses 179 custom applications. But in reality, according to the research, the average organization uses 464 custom applications, with larger companies with over 50,000 employees averaging 788 applications! That means security is aware of only 38% of custom cloud applications in use in their businesses. Developers and DevOps build these applications for business use cases, but the applications do not necessarily pass through a security review before they are deployed. What are they? Custom applications serve diverse functions across internal employees, third-party business partners, and customers. A company may develop their own HR benefits application, code-sharing platform, or customer service tools. As a result, these applications often hold sensitive data ranging from personally identifiable information, confidential intellectual property, and payment data. These applications pose many of the same risks to corporate data as SaaS applications. But they also can trigger additional threats because they are hosted in IaaS platforms. In 2017, we will witness a tipping point for custom app deployment, when, for the first time, companies plan to deploy a majority of their computing resources in the cloud. According to Skyhigh and CSA’s survey, 61% of custom applications are currently hosted in corporate data centers, but that percentage will decline to 46% by the end of the year. And, it’s not just trivial, low-impact applications that are moving to the cloud. According to our survey, of companies with business-critical custom applications, 46% already host those applications in the cloud with the remaining majority of custom applications developed for use in the datacenter. Retrofitting these data center applications with cloud-specific security will require development resources that most talent-strapped security departments simply do not have. Custom applications hosted on IaaS share many of the same threats to data as SaaS. But SaaS security gives us a framework to understand these threats in IaaS-hosted custom apps. Malicious insiders, employee error, and compromised accounts, for example, all create risk to sensitive data in custom applications that could potentially lead to compliance violations. For instance, in a typical IaaS environment, a company could have a custom CRM application in the cloud with an encrypted field for credit card numbers, but employees may carelessly enter credit card numbers in a different unencrypted field like "Notes," violating PCI regulations. Hosted in IaaS platforms, custom applications pose unique security challenges as well. Enterprise SaaS service providers develop robust APIs that allow customers to monitor and enforce security policies at scale across billions of activities every month. For example, Slack recently launched an Enterprise Grid API to accommodate security teams' requirement to monitor high risk activity on the application. Enterprise SaaS applications also create markets for security solutions from third-party providers. Custom enterprise applications lack both traits, leaving security teams on their own to lock down hundreds of applications. Threat Protection: SOC teams require behavioral monitoring to detect threats in action – for example, anomalous behavior that is indicative of a compromised account. Enterprise SaaS services provide APIs or event logs for consumption from third party security providers, but custom applications require custom-developed solutions to analyze activity data. There is a huge blindspot across custom applications for threats from inside and outside the company. Encryption: Regulations like HIPAA require organizations to encrypt sensitive data uploaded to the cloud. Specifically, organizations often need to encrypt data in their own geographic district with their own customer-managed encryption keys. Companies did not have to contend with these requirements when their custom applications were in the data center, but now that custom applications are on IaaS cloud platforms, they will be held responsible for violations. Data Loss Prevention: SaaS platforms open the door to access to data anywhere. Cloud-hosted custom applications are available via the open Internet, putting sensitive data at risk of violating corporate security policies. The data companies want to protect with data loss prevention includes social security numbers, salaries, IP addresses, file names containing "password," and more. Controls enforcing off-network, BYOD, location-based, and content-based access policies are just a few of the capabilities IT security should insist on. Activity monitoring: Incident response and audit teams require an audit trail of behavior on an application for post-incident forensic investigations. When custom applications leave the datacenter for IaaS platforms, they lose event logging capabilities by default. Without any record of employee activity, IT security cannot effectively respond to and remediate security incidents. Why has security been circumvented in the flood of custom applications to the cloud? If the first wave of Shadow IT was the consumerization of applications via SaaS, the next wave has become the consumerization of infrastructure where developers and DevOps no longer need to work with security to access datacenter resources. As a result, security is faced with a stark ultimatum: Enable security for custom applications or be left behind. Thank you, for raising a topical issue. I think SAM tools, such as Binadox, can help to solve at least part of the issue. They monitor SaaS subscription and usage events and thus, you can analyze what applications are used by your employees and decide what exposures they have to take measures. Re: The subject of your site is awesome and i'm interested to know more about..
Where's the "report spam" button? The subject of your site is awesome and i'm interested to know more about.. In various firmware versions of Lenovo System x, the integrated management module II (IMM2)'s first failure data capture (FFDC) includes the web server's private key in the generated log file for support. All versions of unity-scope-gdrive logs search terms to syslog. Versions of Unity8 before 8.11+16.04.20160122-0ubuntu1 file plugins/Dash/CardCreator.js will execute any code found in place of a fallback image supplied by a scope. In all versions of Unity8 a running but not active application on a large-screen device could talk with Maliit and consume keyboard input.